Pear can help you cure osteoporosis. Aren’t pears the best thing in summers? With its fiber rich freshness, it provides the most essential cooling effect. Apart from the succulent taste and cooling effects, locally called ‘Nashpaati’, Pears are rich in anti-oxidants which help to boost immunity and benefit in many health problems. Based on expert findings, we are listing out a few benefits that Pear fruit has and that might benefit your health. 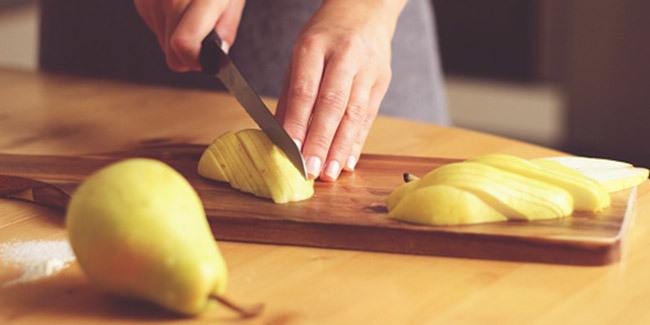 Pears have fibers that minimize the cholesterol in the body and hence, protects from heart diseases. Consumption of fiber rich food reduces the chances of having a stroke by 50%. The abundant presence of fiber helps to bind carcinogenic cells by extracting them and prevent colon cancer. 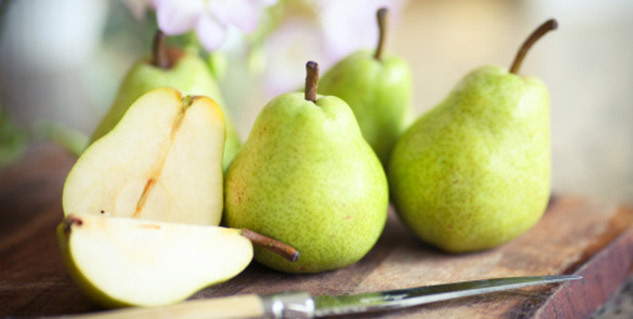 Having a pear daily reduces the chance of breast cancer by 34% after menopause. Pear as compared to other fruits has least probability of allergenic reactions while consumed and that is why can be given to infants. It is a bit sweet but with its fiber content pears are helpful in controlling the sugar level in the blood and suppress diabetes triggering factors. High level of anti-oxidants such as copper and Vitamin C helps boost the immune system and helps fight against various infectious diseases. Anti-oxidants and Anti-carcinogen glutathione in pears maintains normal blood pressure. Pear also happens to be beneficial in bone problems like osteoporosis. Boron present in pears helps absorbing the calcium from the food consumed. Pears help ease the inflammation of arthritis. Now that you know the health benefits of eating pear fruit, you should start by having a pear a day at least.